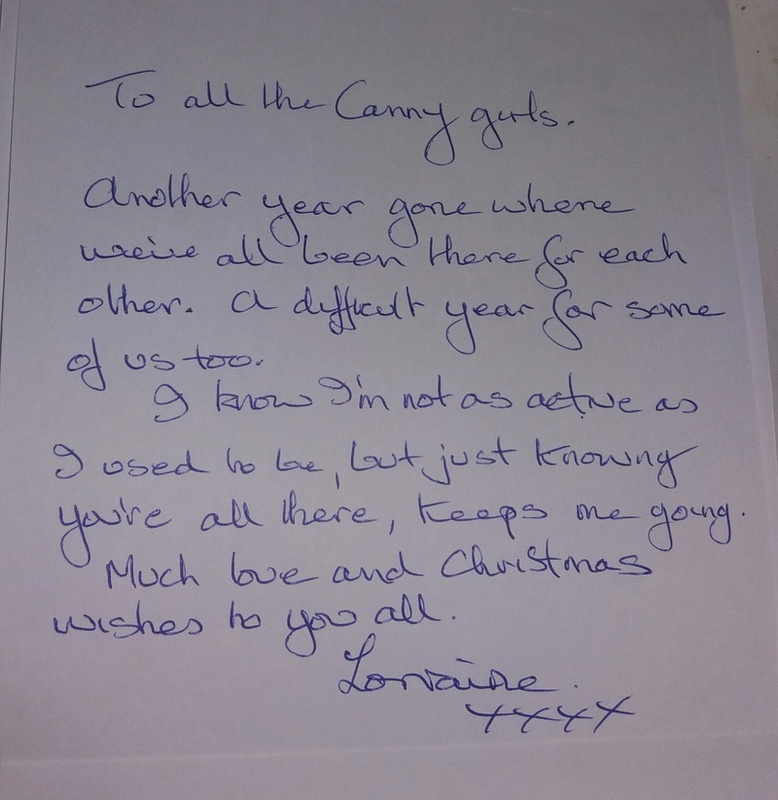 here is the card from Lorraine to the group. It's fabulous. LOL! Lovely message, thankyou, Lorraine. 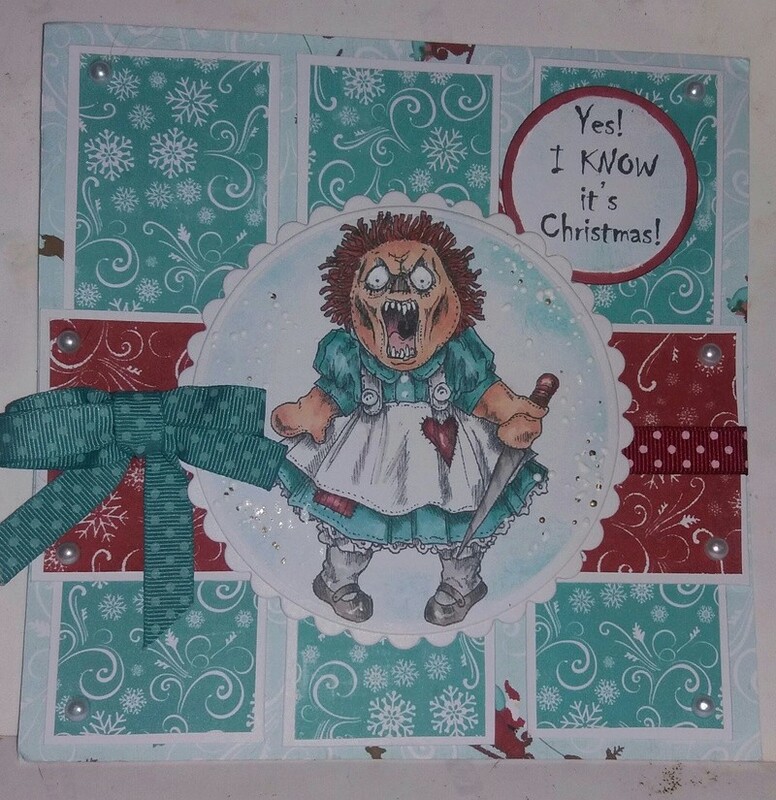 Great card, love that image lol. Nice message, thanks Lorraine and hope we see a bit more of you next year. That is so Lorraine, brilliant. Thanks for the message, we do miss you being on so often, but understand too. Great card Lorraine and lovely words. LOL, Fab card and Thanks for the message.